One way of delaying action is by relentlessly attacking all regulation as not far form Joseph Stalin and Pol Pot. It’s ludicrous, but it ‘works’. 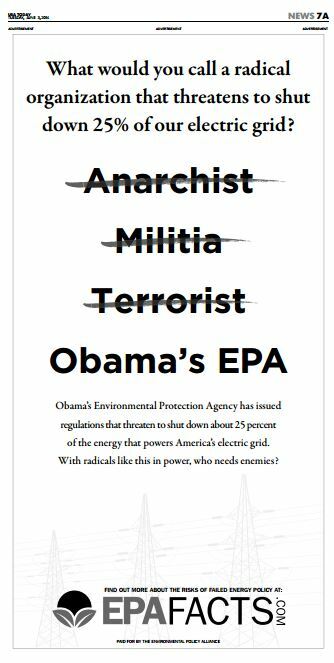 On June 3rd last year, the ‘newspaper’ USA Today ran the following ad, from an outfit called EPA Watch– (which may or may not be related to these guys).